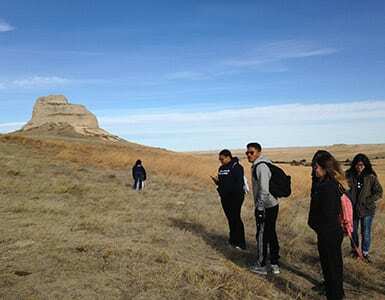 Through this program, participants will have the opportunity to learn about Lakota life and culture, work on a community-led service project, and explore the natural beauty of the area. 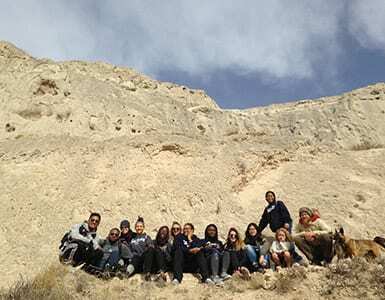 Through this program, participants will have the opportunity to learn about Lakota life and culture, work on a community-led service project, and explore the natural beauty of the area. Projects include working on agricultural initiatives, including assisting with clearing, planting, watering crops, as well as bridge building, wood gathering, and much more. 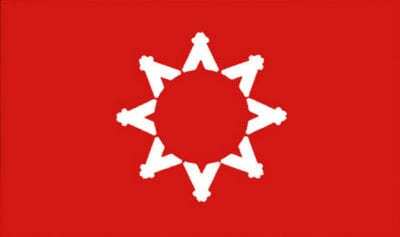 The Pine Ridge Agricultural Initiative | This is a group of organizers and Lakota elders dedicated to ushering in a sustainable future for the health and wellbeing of the Oglala Lakota people. 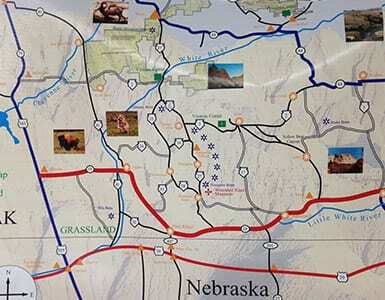 Currently, they are working to establish an organic Farm, Education and Resource Center on Poor Bear family land near Allen, SD. They are also constructing greenhouses; fencing off the gardens from grazing cattle and wild animals; drilling a well for irrigation and drinking water; cultivating the soil with organic fertilizer; sowing seed and tending crops; purchasing and feeding livestock; constructing a community building and purchasing a delivery van to bring the food to the people. 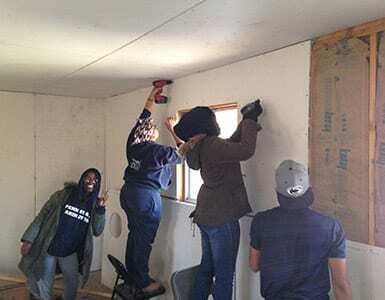 Local Community Members and Residents | Projects may also include serving with local community members to assist local residents with home repairs or improvements to family-land and farms. 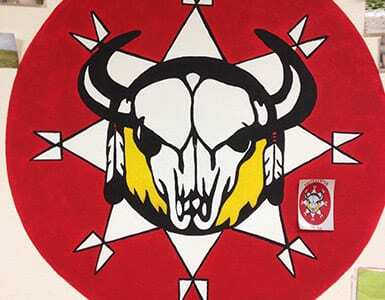 This service is regularly tied to community members who cook for visiting groups, provide demonstrations, and teach about traditional Lakota practices. 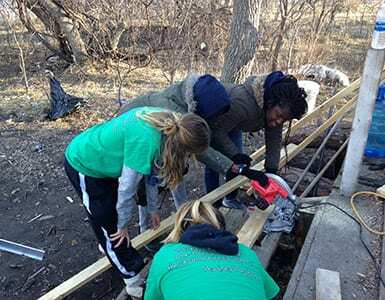 These service projects not only provide much needed assistance to community members but also act as opportunities for participants to learn about culture and ways of life. 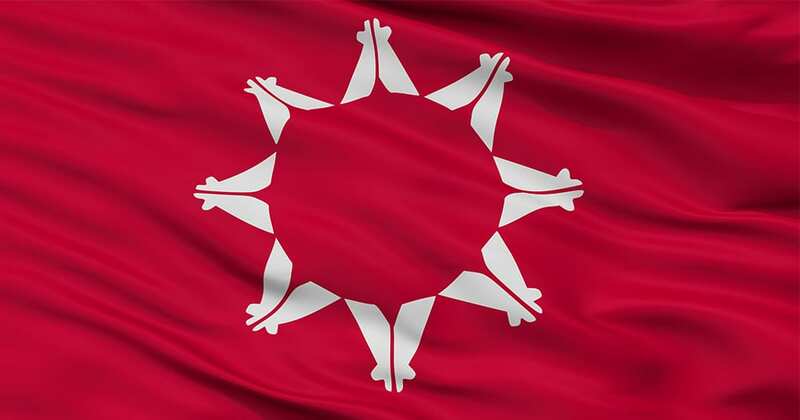 As you or your loved one prepares to serve with Amizade in Pine Ridge, you can rest comfortably with the knowledge that Amizade has an exceptionally strong safety record and ability to respond to any emerging challenges.